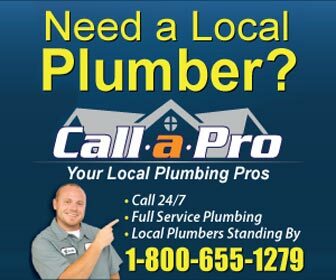 Find plumbers in North Kingstown, RI for all of your plumbing project and plumbing emergency needs. From water heater repair and drain cleaning in North Kingstown to emergency sewer repair and water leak detection - find the right, licensed North Kingstown plumber for the job. North Kingstown, Rhode Island is located in the bottom third of the state. It has a population of over 26,000 in an area of just over 58 square miles. That gives North Kingstown a population density of only 604 people per square mile. The United States Naval facility at the Quonset Point Naval Air Station was a major feature until it closed about 20 years ago. During World War II the Sea Bees were headquartered there and developed a building called a "Quonset Hut." These structures were used extensively in the Pacific during the war. I remember that in the 1960's when I was stationed at the Newport naval base the aircraft carriers we worked with while on patrol were home ported at the Quonset Point Naval Air Station. Gilbert Stuart, a famous portrait artist was born in North Kingstown. One of the small villages in the town is Wickford. It has one of the best well-protected natural harbor on the east coast. It is a small harbor and could not handle major shipping but is great for the recreational boating industry. The village of wickford is home to a quaint shopping village and many of the homes have been maintained since the 1700’s. Most of these historic homes are owned by private citizens and I don’t believe that there are many open to tour.